This volume, NRM1: Order of cost estimating and cost planning for capital building works, provides fundamental guidance on the quantification of building works for the purpose of preparing cost estimates and cost plans. Direction on how to quantify other items forming part of the cost of a construction project, but which are not reflected in the measurable building work items, is also provided i.e. preliminaries, overheads and profit, project team and design team fees, risk allowances, inflation, and other development and project costs. Although written primarily for the preparation of order of cost estimates and cost plans, the rules will be invaluable when preparing approximate estimates. In addition, the rules can be used as a basis for capturing historical cost data in the form required for order of cost estimates and elemental cost plans, thereby completing the ‘cost management cycle’. These rules provide essential guidance to all those involved in, as well as those who wish to be better informed about, the cost management of construction projects. 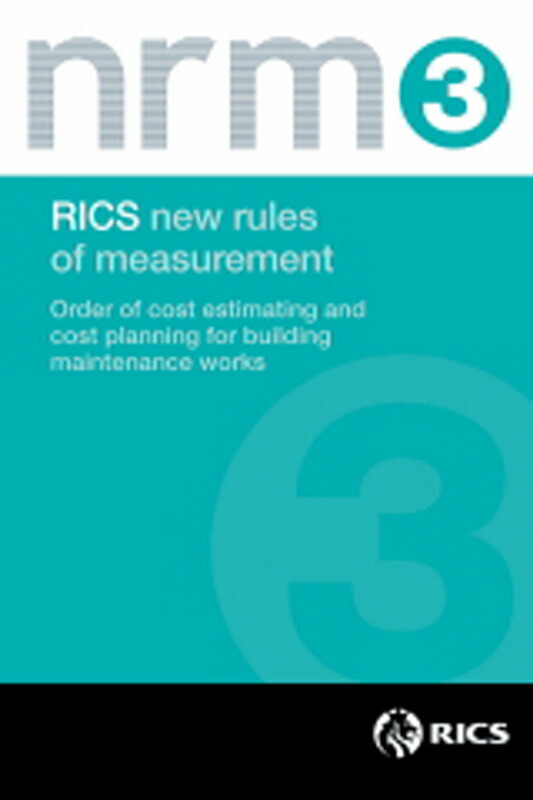 The RICS new rules of measurement are based on UK practice but the requirements for a coordinated set of rules and underlying philosophy behind each section have worldwide application. These rules provide essential guidance to all those involved in the preparation of bill of quantities, as well as those who wish to be better informed about the purpose, use and benefits of bill of quantities. The rules have been written to provide a standard set of measurement rules that are understandable by all those involved in a construction project. They provide advice and best practice guidance to RICS members involved in the cost management of construction projects worldwide. This volume, NRM 2: Detailed method of measurement for capital building works, provides fundamental guidance on the detailed measurement and description of building works for the purpose of obtaining a tender price. The rules address all aspects of bill of quantities (BQ) production, including setting out the information required from the employer and other construction consultants to enable a BQ to be prepared, as well as dealing with the quantification of non-measurable work items, contractor designed works and risks. Guidance is also provided the content, structure and format of BQ, as well as the benefits and uses of BQ. Although written primarily for the preparation of bill of quantities and quantified schedules of works, the rules will be invaluable when designing and developing standard or bespoke schedules of rates. 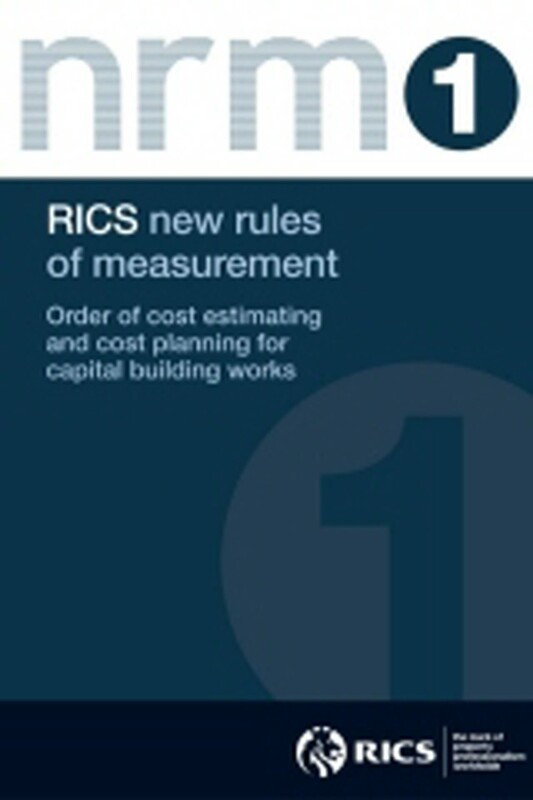 NRM 2: Detailed measurement of capital building works is based on UK practice but the requirements for a coordinated set of rules and underlying philosophy behind each volume have worldwide application. Student Price: £50.00 Please enter voucher code: VHR0000785 at checkout. Valid for students only. Provides fundamental guidance on the quantification of maintenance works for the purpose of preparing order of cost estimates and formal cost plans (pre construction) and detailed cost plans (post construction) and during the in use phases of the building life cycle. This volume NRM 3: Order of cost estimating and cost planning for maintenance works, provides fundamental guidance on the quantification of maintenance works for the purpose of preparing order of cost estimates and formal cost plans (pre construction) and detailed cost plans (post construction) and during the in use phases of the building life cycle. The guidance provided by the rules also aids the procurement and cost control of maintenance works. NRM 3 follows the same structure and premise as the NRM 1: Order of cost estimating and cost planning for capital building works. Consequently, NRM 3 also gives direction on how to quantify other items associated with building maintenance works, which are not reflected in the measurable maintenance work items - i.e. maintenance contractor’s management and administration charges, overheads and profit, consultants’ fees, employer definable other maintenance-related costs; and risks allowances in connection with maintenance works. Unlike capital building projects, maintenance works are required to be carried out from the day a building or asset is put to use until the end of its life. Accordingly, while the costs of a capital building works project are usually incurred by the building owner/developer over a relatively short-term, costs in connection with maintenance works are incurred throughout the life of the building – over the short, medium and long-term. Therefore NRM 3 also provides guidance on the measurement and calculation of the time value of money (NPV and payback methods), as well as other considerations such as taxation and other incentives. Student Price: £50.00 Please enter voucher code: VHR0000786 at checkout. Valid for students only.